On Saturday February 11th, participants in a leadership conference in Dallas attended by Nation of Islam spokespersons, local and national Korean-American leaders including the Korean Society of Dallas, NAACP officials, and representatives of black and Latino advocacy groups, discussed a South Dallas incident that happened on December 9th of last year. 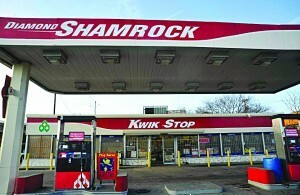 The incident, which sparked racial and ethnic tensions, involved a verbal altercation between a Korean gas station owner, Thomas Pak, and a customer, black Nation of Islam spokesman Jeffrey Muhammad, over Pak having declined Muhammad’s request to waive his $10 minimum purchase for gas rule. Racial and ethnic slurs were exchanged. A picket line that lasted nearly 50 days greeted customers outside Pak’s Diamond Shamrock station and store, and signs urged “Don’t Stop, Don’t Shop.” In a 2010 incident a Korean-American employee at the store shot and killed a fleeing 26-year-old black man who was running off with the store’s stolen cash register. Clearly some racial/ethnic tension began then. Today the picket line is nearly defunct, with leaders acknowledging that their own people were crossing it. The best news out of the whole conference was that a spark of a healing message, an actually uplifting message, a message signaling a way forward, emerged at the close, in the form of the last speaker. No media account I have been able to find mentions her. One brave individual, Linda Olden-Smith, a black conservative activist, wrote a brilliant letter to the author of a Dallas Morning News article about the conference, outlining what she said in those closing remarks. She eloquently made the case that the NAACP and Nation of Islam spokesmen, cannot and do not rightfully speak for all of black America. She apparently captured the thoughts and hearts of many at the conference, because she got a standing ovation from many (but not all) in attendance, of all backgrounds, and hugs, afterwards. Olden-Smith’s remarks raise poignant questions. Especially when they are contrasted with the statements of the spokespersons from the NAACP, the Nation of Islam, and the Korean-American groups, as they are recounted in the press. Texas State Representative Eric Johnson (Democrat -- District 100) spoke of the incident almost purely in terms of race. He talked about Asian business owners who “extract” dollars from black customers, and who give in return high prices, and poor customer service. Johnson was quoted saying “we’re spending about $100 million a year with ‘foreigners’ in the southern sector and they don’t put anything back. It’s a stupid investment for us.” The “we” and “us” he was referring to is clearly black residents of South Dallas. It is sad and painful for American society that any group carries such anger and hurt. But what is the path forward? What good outcome can occur from entrenching the “Us vs. Them” racial/ethnic tensions? Where can that end? Are we really doing the America of the future a favor by continuing to cast disputes in terms of one race vs. another ethnicity? By bullying legitimate enterprises out of business? And how much time that was spent protesting outside of the gas station could have been better spent at work, earning money toward building or buying a business, or attending classes to improve prospects for future earnings? The American way is to use the free markets. Don’t buy gas at the gas stations where prices are too high! Most customers, all things being equal, will seek out the business that offers the best prices—so be that business! As Rev. Ronald Wright advocates, pool money and found a black-owned gas station business. While that effort at this point has fallen apart, the American game is the free enterprise system, and it is the only vehicle that will ultimately bring prosperity to wider and wider circles of American society. To the extent any groups—the NAACP, the Muslim Brotherhood, the Korean Society of Dallas, the Democrat Party--- nurture the victimhood mindset, and stridently ignite the passions of the “one race vs. another ethnicity” mindset, their efforts are a disservice to the greater good of encouraging all Americans to join in and participate in the free markets. Americans of all backgrounds who have gotten ahead, and made successful lives for themselves, did so by tapping into the free markets. By making themselves more marketable in the job search. By building businesses of every conceivable kind, from small lawn services companies to giant corporations, all based on the system we have in place that encourages that. No doubt historic racial and ethnic barriers grossly unfairly left some individuals behind, but the goal now must be moving forward, joining in the free market parade, to the “betterment” of all.